This week we closed down for business to start construction on a new and improved phase of soundproofing for our Brooklyn studio rental space. We were lucky enough to bring on our good friends from Greenpoint's very own Windmill Studios to offer their time and expertise to bring our space to the next level. 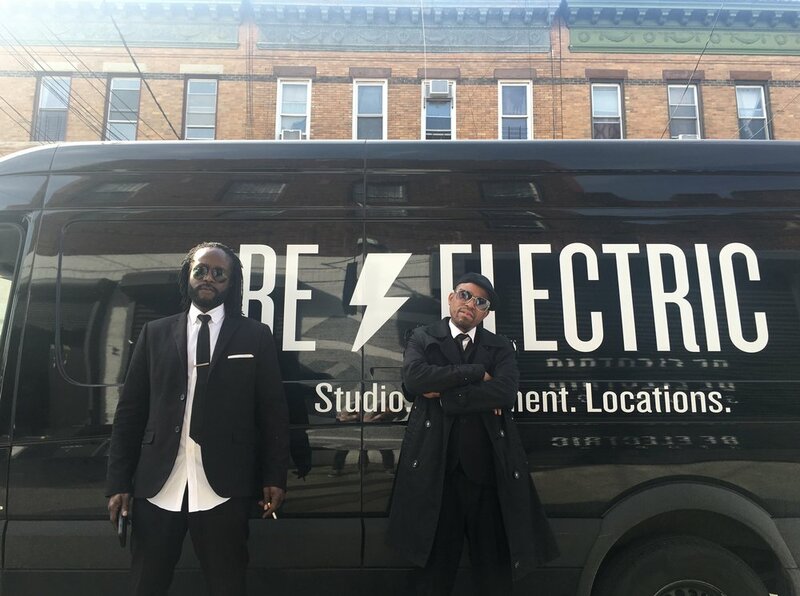 These sound and design gurus have not only soundproofed their own studios, but a number of other spaces around NYC as well, so we are very thankful to be in good hands. The main operation that took place was the installation of two massive Elephant doors to close off the area of our offices and loading bay from the soundstage NYC. These are built with two layers of dry wall on inside and three on the outside; all sealed with green glue which also acts as a dampening compound. Any possible outside noise from the streets will now be sealed off completely by simply pulling these sliding doors shut. The crew also designed a laminated acoustic double door system in the wall next to the Elephant doors for people to be able to walk in and out of the studio with ease. They used decoupled construction throughout the entirety of the build so there are no mechanical connections whatsoever, which leads to a far more secure noise free zone. These are just the first steps of our Brooklyn Soundstage makeover and we are excited to share more as we continue. Stay tuned! Hypnotic Brass Ensemble // "Mary"
Throughout the course of history we've all been exposed to a handful of "family bands" whether it be such names as The Jackson 5, Hanson or The Partridge Family. The Hypnotic Brass Ensemble, also known as the "Bad Boys of Jazz" are simply on a whole other level when it comes to the term. Originally based out of Chicago, this group consists of 8 brothers who all grew up in the same household, each playing horn instruments since they were old enough to hold onto one. Though they played together throughout their childhood with their dad, Phil Cohran, it wasn't until the early 2000's that they formed what is now the Hypnotic Brass Ensemble. Aside from having nearly 10 studio albums under their belt, they've accompanied a list of influential artists on record as well as on stages across the world. They've performed with the likes of Wu Tang Clan, Mosdef, Gorillaz, De La Soul, The B-52's, Erykah Badu, Childish Gambino and perhaps most fondly, the late Prince. 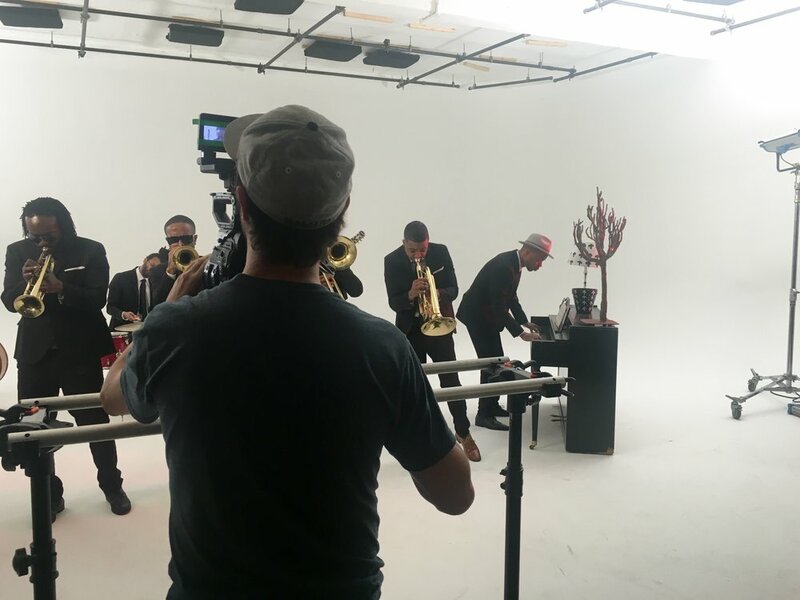 The band joined us at our Brooklyn soundstage this week to shoot a video for their new breezy summer single, "Mary". 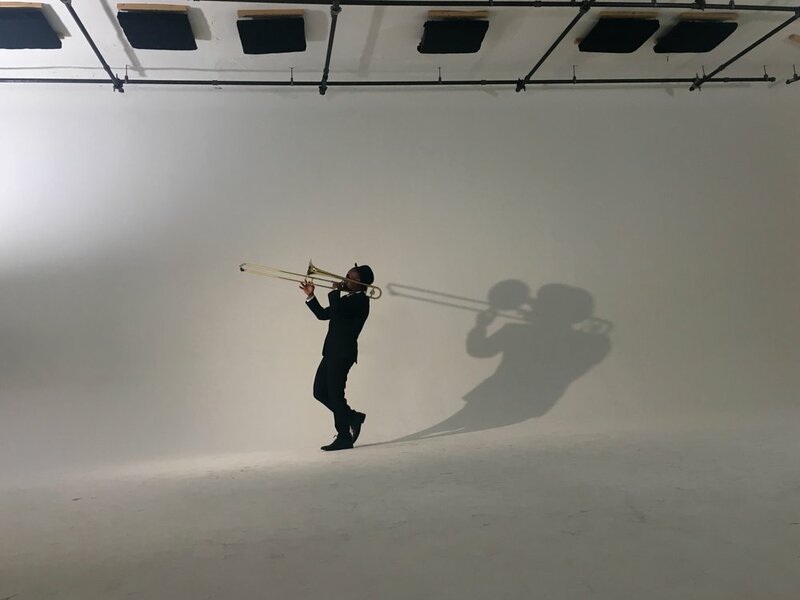 When trumpet player, Yosh told us they were all brothers it was easy to assume that he just meant they were very close friends that grew up together. Something about the idea of 8 siblings playing music together successfully all those years seemed difficult to imagine. He clarified what he meant and from that point on it was very apparent that they were in fact family. Everything from the way they moved and played together, the warm way they joked around and especially the way the backed each other up when it came to creative input for the video process. Everything they did seemed to be framed with a certain kind of harmony that only siblings have the ability to share. The set was fairly minimal, showcasing the band in black suits against our white cyclorama wall accompanied by their instruments and even our very own piano that usually lives in our bathroom. Some of the members had their children join in on the fun wearing matching attire while making their film debut. We even had a friend of the studio come by with his well-trained Doberman Pinscher, Lincoln to make a special appearance for the final scene. We are definitely looking forward to seeing the final product. For now, catch them on tour in a city near you! 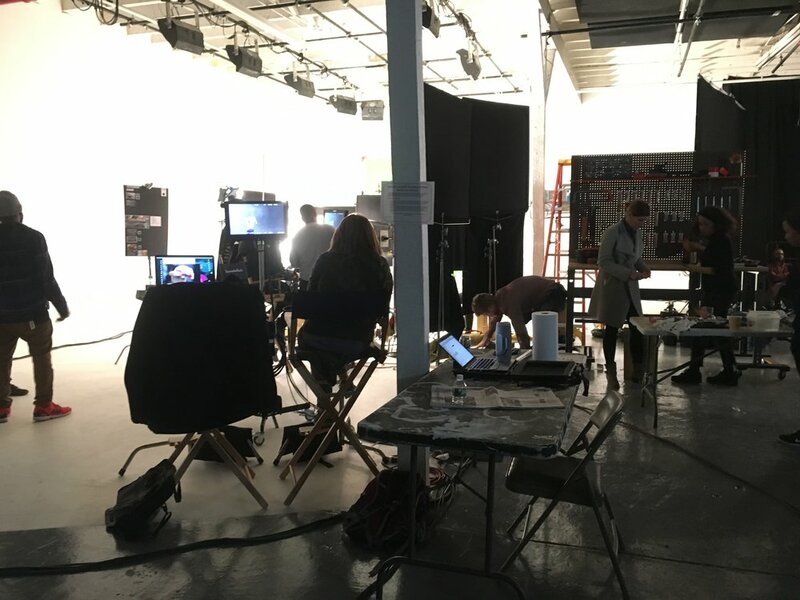 The last few weeks have been scattered with such a plethora of different shoots across our multiple Brooklyn soundstages that it's been difficult to keep up. 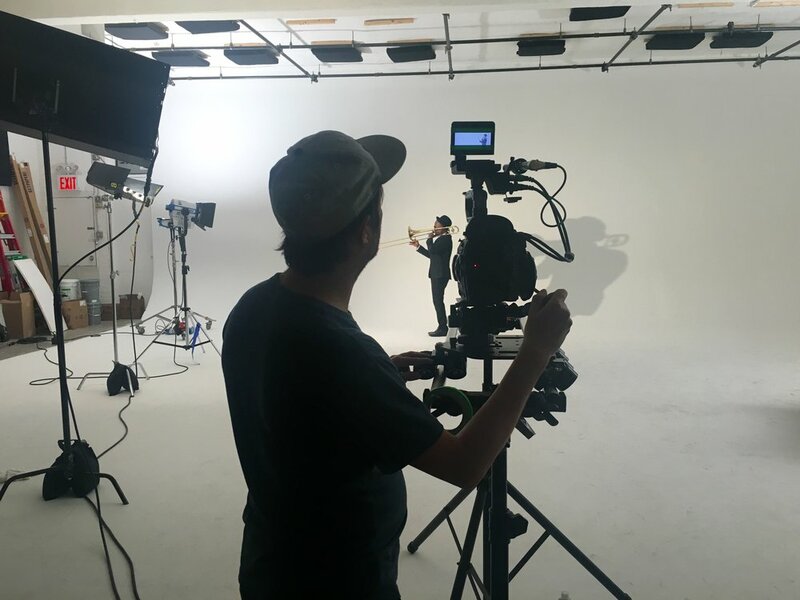 One of those just happened to be for an all new Payday candy bar spot guided by the the talented vision of the This and That production team. 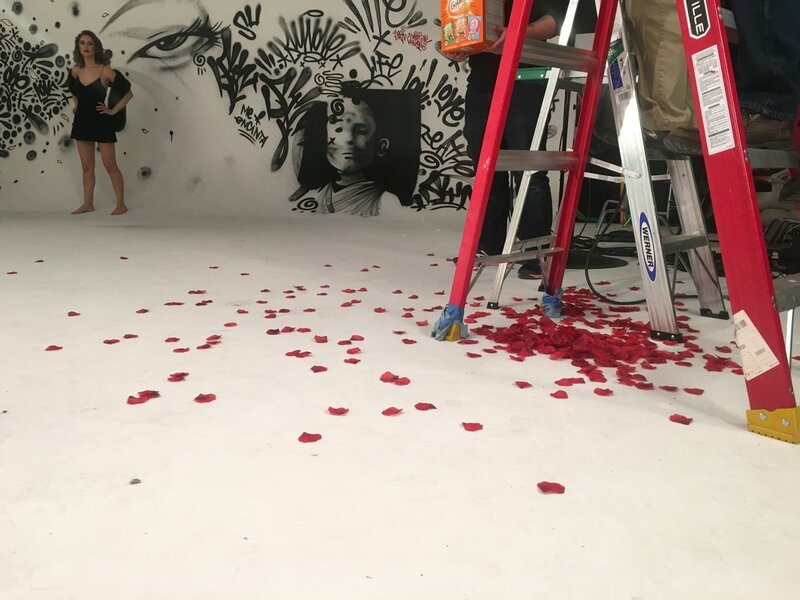 Though the overall layout for the shoot appeared to be rather minimal on set, we're sure that they have big plans to go above and beyond with their concept. Never have we ever seen so many literal nuts in our studio rental space at once! If this is anything like the 2014 Payday commercials we all remember, then I'm sure the This and That crew has their sights set on delivering the goods. 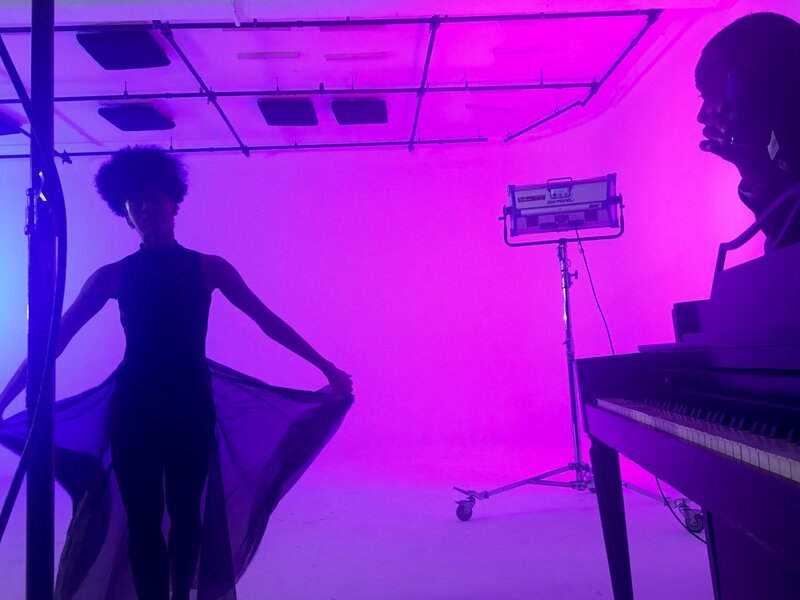 We recently had up and coming singer/songwriter Mikaella Ashley into our studio rental space to shoot her very first music video for her single called 'Me Encanta'. Mikaella has been in the entertainment world for awhile now but mainly spent her time focusing on acting. 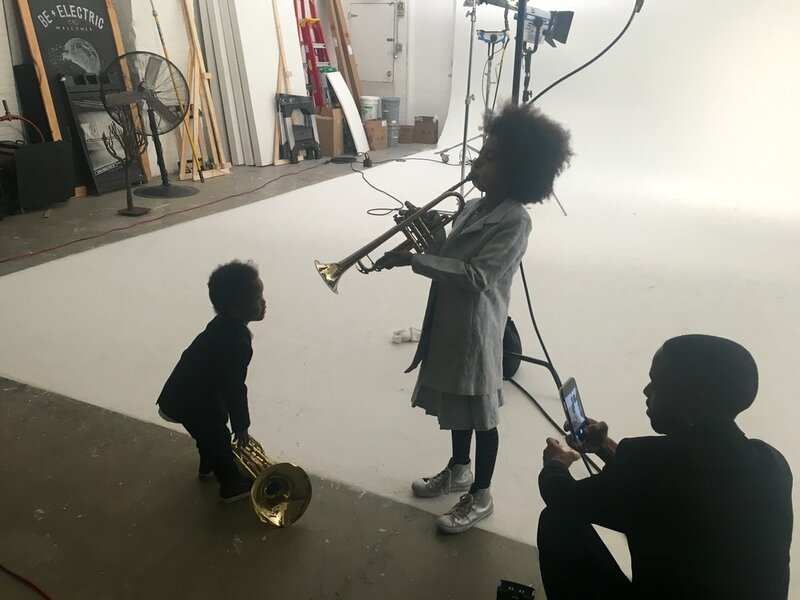 After appearing in a handful of films along with a TV movie, she decided it was time to shed some light on her musical talents. In 2016, she put out her first single called 'Give It A Try' and has been juggling the process of writing new music and acting ever since. 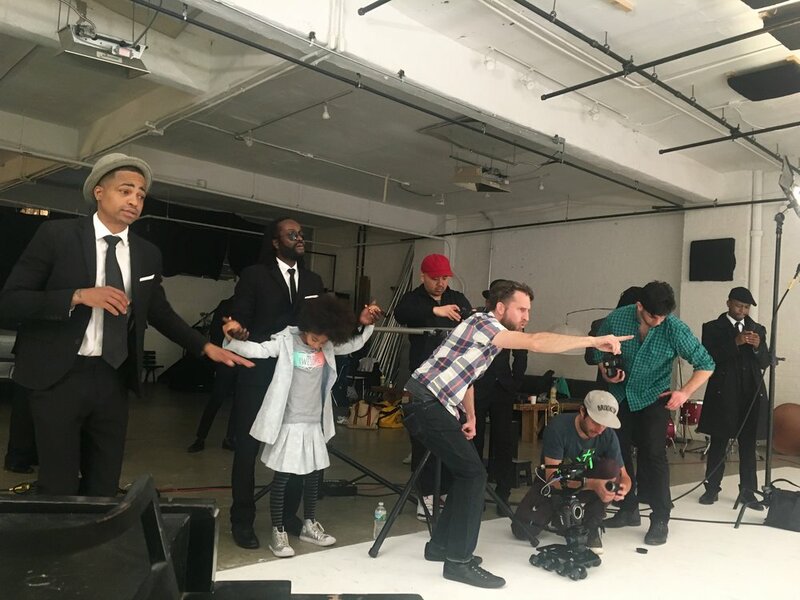 The thought of a music video didn't come along until one day when Mikaella was on set for a new pilot and met producer Nathan Holsenback, who happened to be working grip for the shoot. They immediately hit it off and stayed in touch. 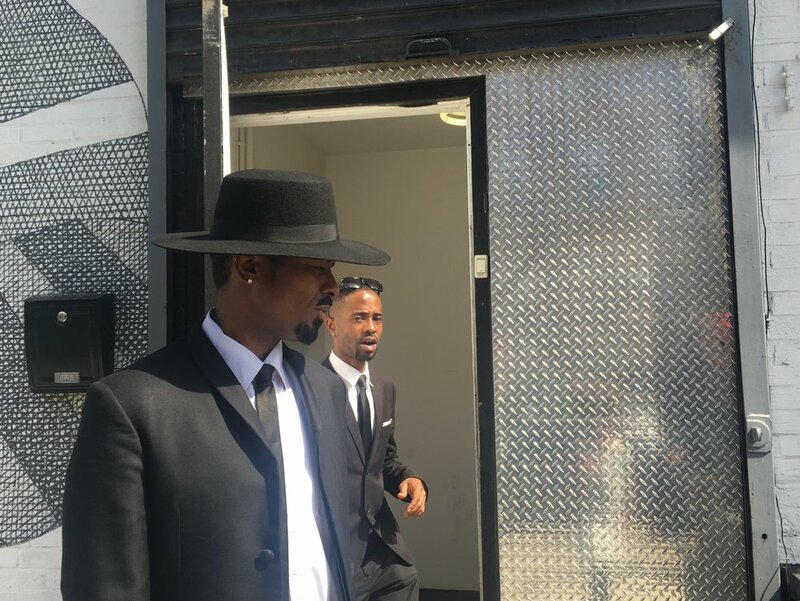 The following week, Nathan met Bronx based mural artist Ian Sullivan at a video shoot, and it immediately struck him that these two new acquaintances of his were meant to be on camera together. It was in that moment that Nathan realized that he wanted to produce. He reached out to long time friend Conor Stalvey with Giftshop Productions and decided to partner up for what would be their first creative effort together. 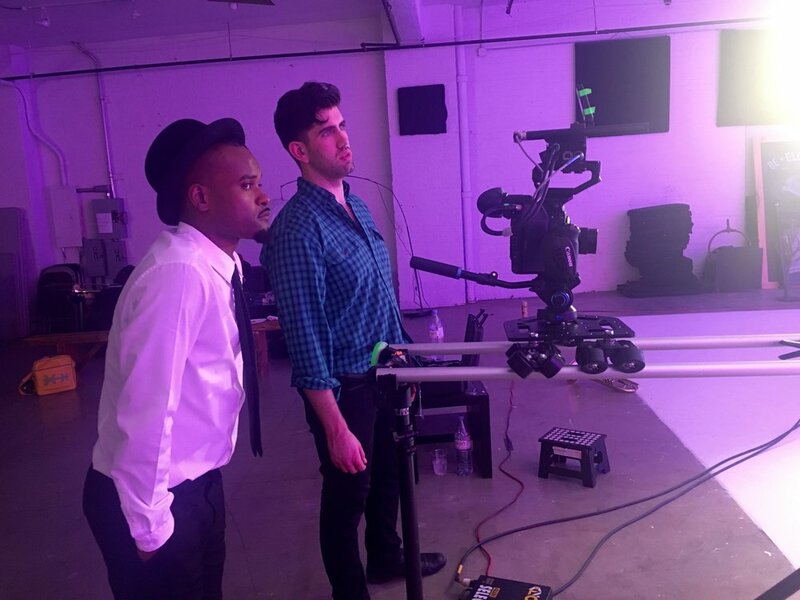 While speaking with Nathan during their shoot at our Brooklyn soundstage he went on to explain what drives him to collaborate: "I like finding hidden talents in everyday ordinary people. I personally feel as though a lot of people don't receive the credit for how great they can be and filming projects like this just really brings out the best in everyone involved!" All the elements were there. 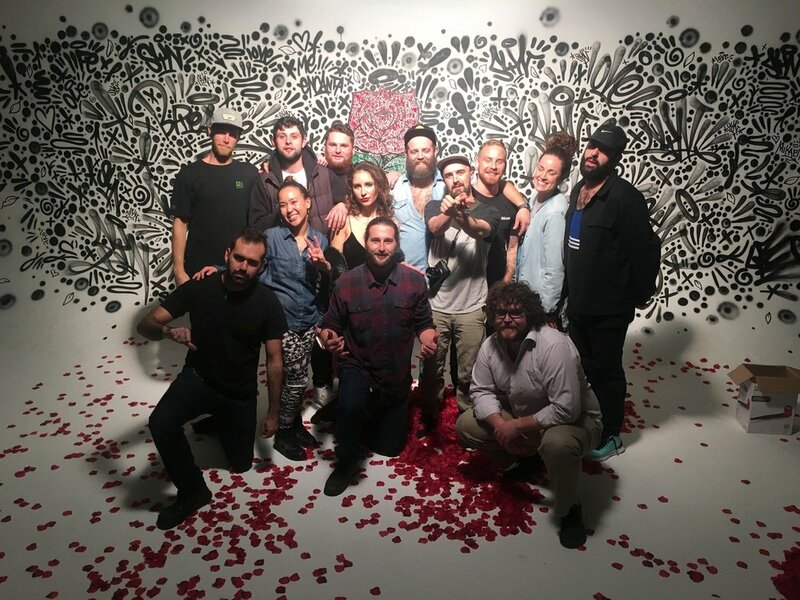 The concept for the video came to life organically with the combination of choreographed dance alongside a live artist painting a mural in the background while Mikaella performed her song. With a minimal approach and a diverse pool of talent, we look forward to seeing how this joint labor of love turns out.